PetroMod petroleum systems modeling software combines seismic, well, and geological information to model the evolution of a sedimentary basin. The software predicts if, and how, a reservoir has been charged with hydrocarbons, including the source and timing of hydrocarbon generation, migration routes, quantities, and hydrocarbon type in the subsurface or at surface conditions. Petroleum systems models are 1D, 2D, or 3D large-scale geologic models. These models cover areas ranging from a single charge area for a prospect to regional studies of entire basins to resource assessments of mega-regional scale covering multiple basins. The models provide a complete record of the evolution of a petroleum system, including pressure and temperature history. They relate the structural evolution of a basin to generation, migration, accumulation, and loss of oil and gas in a petroleum system through geologic time. Properties such as gas/oil ratios and API gravities can be analyzed, understood, and predicted. A petroleum systems model provides the only means to integrate all physical aspects (source, trap, seal, and reservoir) and time (charge) to quantify and analyze processes and reduce exploration risk. 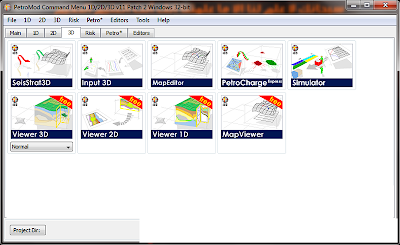 The simulator is the heart of the PetroMod software suite, simulating the entire history of a sedimentary basin from the deposition of the bottom layer onwards. 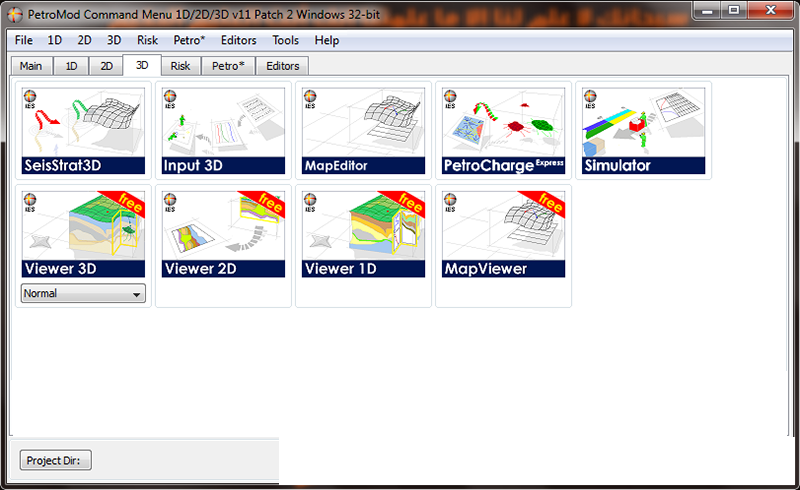 PetroMod software uses consistent simulators in 1D, 2D, and 3D, which means that all technical features and tools are available—and identical—in all dimensions. It also enables different simulation methods—Darcy, flow path (ray tracing), invasion percolation (IP), and the PetroMod hybrid Darcy/flow path/IP simulator—to be used with the same data models. PetroMod software determines whether oil and gas have been generated, where and how much, when migration occurred, and whether it filled the trap. The software models the burial of source rocks through geological time, from their deposition at the surface until they reach sufficient depth to generate first oil and, eventually, gas as they descend deeper into the earth. Various components of oil and gas are tracked as they are expelled from the source and migrate upwards to fill traps, until either the buoyancy forces break through the seal or the trap “fills and spills” so that oil and gas migrate to other traps. PetroMod software predicts the location of oil and gas accumulations, as well as important properties such as API gravity of oil, gas/oil ratio, and viscosity. - change "IOGeophysicist-PC" to "your comuter name". - change first "27009" to "your Network Adress value"
- If you not change your network Adress Let it as it was. - press on "Diagnostics" then press on "Start" then "ok". - Add options file and choose location of "petromod11.lic"
- you will see new file "petromod11-20120820201128.BAK"
- Press "ok" and open the program.